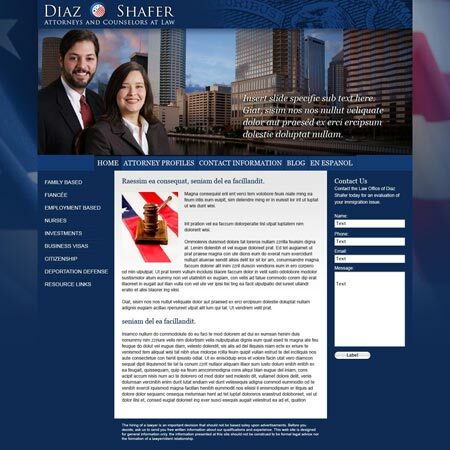 Here is the first draft of a Web site I am redesigning for a Tampa based law firm that specializes in immigration law. I included a stock photo of Tampa to give a sense of place, as well as an American flag motif and color scheme to tie in with their specialty. I wil be using JQuery to transition between three states in the banner area and spry for the nested navigation in the left rail. You are currently browsing the designspot blog archives for March, 2010.